Tandem paragliding wings designed for tandem paraglider flights. 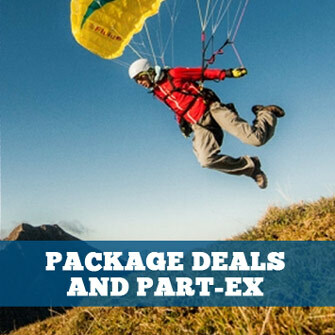 The Fuse 2 is a tandem paraglider for professionals who demand maximum efficiency, reliability and also flying pleasure. The Osprey is a small tandem for pilots who fly with light passengers, and / or in stronger winds. Witness the birth of the first single-surface, lightweight (3.3kg) certified tandem wing. 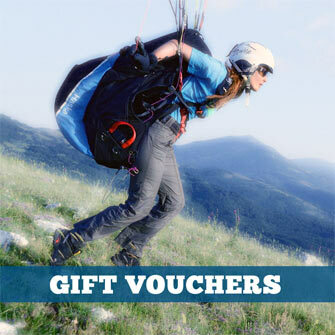 Enjoy and share your hike & fly and vol-biv adventures under the same wing. The Mag2Lite is our answer for tandem pilots who want to cut a bit of weight off of their system without greatly compromising its longevity. Together with the new light spreader bars, the Mag2Lite comes in at 1.7kg less than the normal Magnum II with standard hard spreaders. The Swift Max is designed for experienced tandem pilots who seek a light-weight high-performance XC machine for personal tandem adventures. The Swift Max is a new concept for OZONE and is very different to our Magnum series which is designed to satisfy the needs of a commercial tandem operation. The Wisp is a lightweight tandem, perfect for mountain hike & fly adventures with a friend. It's fun, agile, and easy-to-use with the weight and pack volume of a solo wing. Everything you want in a tandem wing! The new JOIN'T3 is equipped with a considerably expanded weight range of 100kg - 225kg (over two sizes). Thanks to the very low canopy weight, the glider climbs effortlessly, providing a relaxing experience for pilot and passenger. Still, there are robust materials implemented in discrete places, guaranteeing a long product life.